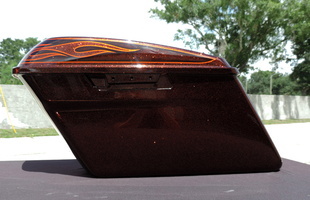 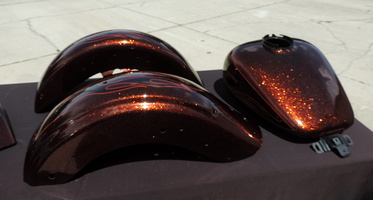 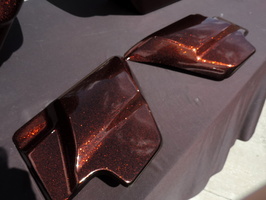 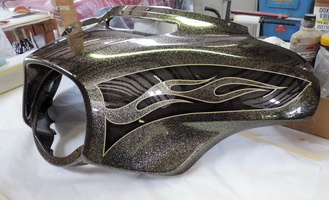 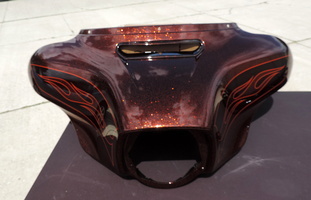 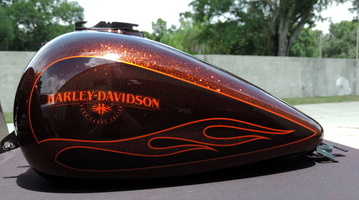 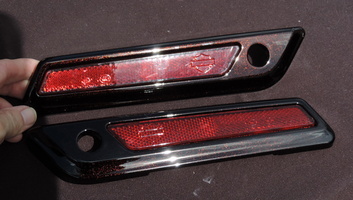 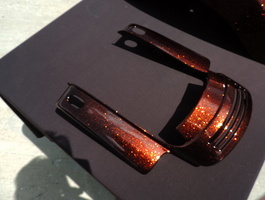 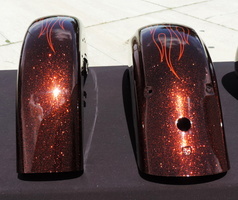 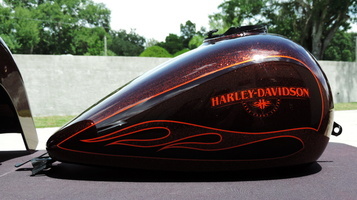 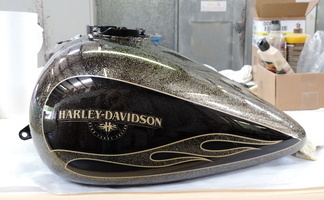 We received this Street Glide set painted in the H-D factory paint. 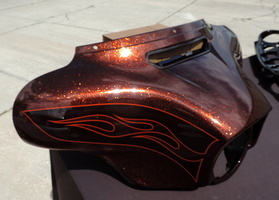 We sprayed candy tangerine over this paint job to give it a whole new look - came out beautiful! 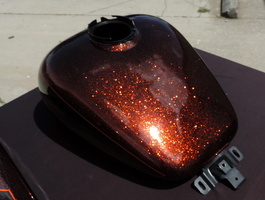 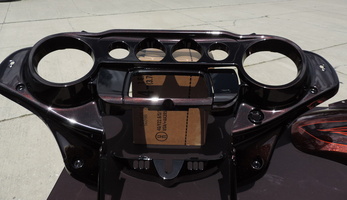 We sprayed a metallic over the black pieces before the candy was sprayed.